Here Are My Fundraising Pet Peeves… What Are Yours? If you’ve been working in non-profit fundraising for any length of time, chances are you have developed a few pet peeves. Now, I’m not talking about a donor that grates on you or your colleague who talks way too loud on the phone… I’m talking about the fundraising ideas and cultures that really bug you, because you know deep down that those actions and beliefs are limiting your organization’s ability to raise money. Today, I want to share my three fundraising pet peeves with you. I hope that after reading them, you’ll use the comments section to tell us what your fundraising pet peeves are and how you handle them. Have you ever worked with a fundraiser who would do anything to avoid going out of the office to meet with donors and prospects? I’ve worked with lots of folks who would rather spend their time sending out e-mails, writing newsletters, or doing research than getting out from behind their desk to meet with a donor face-to-face. It’s nearly impossible for an organization to thrive if it embraces “desk-based fundraising.” Sure, a larger organization might have a grantwriter or communications assistant that works primarily out of the office, but every non-profit needs fundraisers who are out meeting with donors, going to breakfasts, lunches and dinners with prospects, and getting out from behind their desk. Guess what — no program or non-profit “sells itself” when it comes to fundraising. There are millions of great causes out there. People have tons of thing competing for their scarce financial resources. Fundraising is work… hard work… no matter how great your organization’s mission and programs are. Board members and EDs who think that the real “hard work” is on the program side and that fundraising should come easy to the development team should take two days off and spend one working as a program officer and another working as a fundraiser. They’ll quickly learn that both sides are equally hard and equally important to the success of the organization. For me, it’s like hearing nails on a chalkboard. 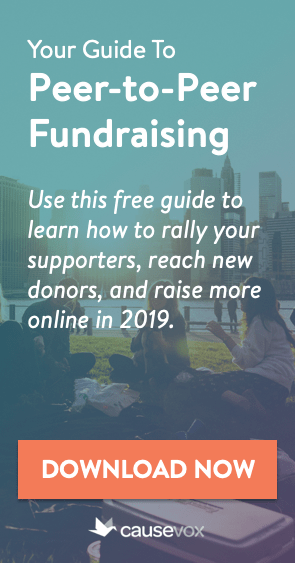 I may be biased, but to me, fundraising is the most important thing your non-profit does… because without fundraising, you wouldn’t have any money to run your programs, pay your staff, hold your events or pay the rent on your office. Fundraising matters. It’s not a “necessary evil.” It is a real, tangible, positive contribution to the overall success of your non-profit. The more you raise, the more good your organization can do in the world. So maybe, just maybe… fundraising really is the most important thing you do at your non-profit. My pet peeve is board members and other executive leadership members who think that fundraising and prospect development is up to the development director. Each member of the board should be supporting the ‘Get and Give’ strategy and help to identify potential donors. It bothers me when Orgs use grant writing as fundraising. How do you convince them that each has a different role? And that grant writers aren’t grant writing machines and in order for fundraising to succeed the board is critical? I have participated in the Local Relay for Life here where I live. I have been a member of then the captain of a team. My number one pet peeve has to be the unwillingness of the members to work together for the common goal. It can be very hard to get anything accomplished when there are members always bickering with each other and accusing me, the captain, of “shooting down” all the ideas. That because it was not my idea it was not a good idea is their thinking. When in reality they did have some good ideas, but would never follow thru and it landed back on myself and my co-captain to do all the leg work and planning from start to finish because they would not do their job to make their idea become reality. And the number two pet peeve of mine is when there ends up being too many chefs in the soup. Everyone thinking that they are the captain and that we should do it their way and very seldom is it what everyone collectively wants to do. Nothing would ever get done. We would end up being all one person teams. Lizzy – Yep, I’ve definitely seen that happen. Non-profits need a long-term prospecting funnel… one that includes the board, ED and program staff. Yet so many boards and EDs think they can task fundraisers with finding new donors and get a report back in a week with a list of new givers to the organization. Sheri, good ones… yes, there needs to a plan, a captain, and lots of people willing to do the work. VR – thanks. I agree that grants are just one small part of the overall revenue / fundraising plan for a non-profit… and that the board is crucial in fundraising success. It also bothers me when a non-profit (other than a 100% research organization) hires a grantwriter before thy bring on a traditional fundraiser. Hire a Development Director first! Teri – I agree. The fundraising team, program staff, board, executive team and volunteers must all join forces and take responsibility for adding new donors in to the pipeline. Ideally, every non-profit will have a defined prospecting plan that shows who does what, when, and where. My pet peeve is when our volunteer Board members don’t show up for meetings and thus, we don’t have quorum to approve policies and decisions on fundraising. How can you possibly move forward when everything gets deferred to the next meeting? Agreed – board meeting attendance should be a minimum requirement for board membership. Board members who miss 2 or more of your meetings should be asked to consider another role with the organization and rolled off the board. Hi Joe, My biggest pet peeve is the board member or ED who says “we need someone with deep pockets,” “or “we need to twist their arms,” or “we need to hit so-and-so up.” Its so disrespectful. So true Debbie! What they should be saying is, “we need some like-minded people who are willing to invest in our mission.” Fundraising isn’t a one-shot sales call, it’s a lifelong relationship. Organizations trying to make budget shortfalls by launching new events with no lead time for proper planning or fundraising and wondering why the new “event” was unsuccessful. 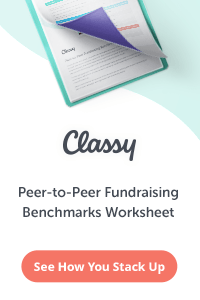 My pet peeve is when clients complain about the cost of direct mail fundraising (I’m a copywriter), yet refuse to leverage their donor file by making individual solicitations, online auctions, or cultivate relationships that would lead to planned giving that all have a lower cost of fundraising. Thanks for sharing your pet peeve. 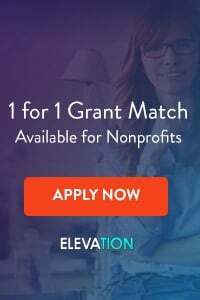 Both direct mail and online fundraising are excellent avenues for finding donors to upgrade into monthly, major, planned, and campaign donors… yet so many non-profits fail to take the next (and very profitable) step!